We’ve had a lot of fun and wonderful talent in our past contest. You can share your projects month after month and enter to win! There are some great project ideas in this list so go ahead and get your sewing machines out or your hand sewing skills busy! You certainly don’t have to do something on this list the ideas above are just to give you ideas. 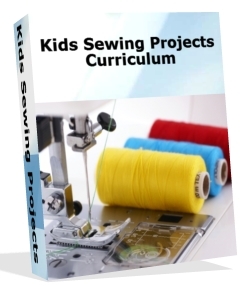 **If you are a sewing teacher this is a great way to get your students involved in creating and writing up their own project. 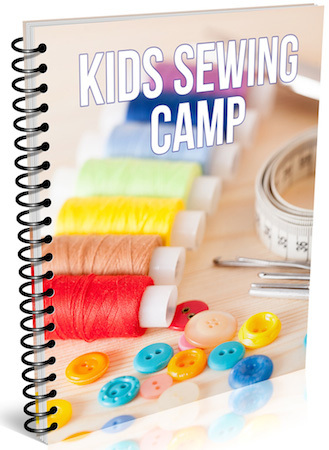 If your a kid and love to sew write up your project and take pictures. However, you don’t have to be a kid to join the contest. See the rules below. Go ahead and share with us your talent! Here are the rules and requirements of this contest. Whether you are a kid or are an adult with an easy sewing project for kids you are eligible to enter. You must include understandable directions with at least 200 words. Entry must include at least one picture to be eligible. Your project must not appear on other websites. You can enter as many projects as you’d like. Contest will run until December 31. You are welcome, and please do, view all entries, rate them and leave comments on others projects. Winner will be chosen within a week after the contest ends. When you have your project ready to submit, fill out the form below. and a * $25 Amazon gift card. ~ Depending on participation we often choose honorable mentions with prizes to be announced. Letters About Literature (LAL) is a national writing contest for students in grades 4 to 12 sponsored by the Center for the Book in the Library of Congress. LAL encourages young readers to write to the author of a book expressing how that book changed their view of themselves or the world. This contest not only promotes reading and writing, but also inspires creativity in young people and encourages them to be life-long readers. It develops critical reading and writing skills that students need to be successful both in their school careers and as adults. Fans of any genre, fiction or nonfiction, contemporary or the classics, are invited to participate, with the chance to receive awards and recognition at the state and national level. Maryland winners are honored annually during CityLit Festival at the Enoch Pratt Free Library. An outstanding participating educator is also recognized at the ceremony with the Christine D. Sarbanes Teacher of the Year Award. Click here to view a list of 2013 Letters About Literature Finalists statewide. article are reflected in the poem? Explain your answers in two paragraphs. Use text evidence to support your ideas. Five winners will each receive a copy of “The President Has Been Shot!” by James Swanson. Make us laugh, move us to tears … write a fabulous, memorable nonfiction piece and you may be one of our two monthly winners. Eligible sections include: Nonfiction, Focus/Special Issue, College Essays, Heroes, Pride & Prejudice, Health, What Matters, and Sports. Submit entries through our website or by e-mail to submit@teenink.com. All nonfiction works submitted to Teen Ink are automatically considered for the monthly contest. See our submission guidelines for more information. Want your photo or artwork to appear on the cover of a national magazine? Submit your images now! Every month one image is selected to appear on the cover of Teen Ink magazine. Winners receive a copy of Teen Ink magazine featuring their image. Plus, you’ll have the opportunity to choose from an exciting selection of Teen Ink merchandise – apparel and other items – available exclusively from Teen Ink. Teen Ink will only consider photos and artwork by teens. Photos should be primarily of other teens. The best photos for the cover areclear, in color, and close-up. Submit entries through our website or by e-mail to art@teenink.com. All photographs and artwork submitted to Teen Ink are automatically considered. See our submission guidelines for more information. There are no deadlines; images are accepted and published throughout the year. Keep in mind if your submission has a seasonal or holiday theme, it’s best to send it in early.